In the field of Holistic Nutrition, the two most common complaints we hear from the patients are that they lack energy and that they are under too much stress. The net result is tiredness, exhaustion, lethargy, apathy, poor concentration, and lack of motivation. What can be harder to recognize is a low-grade energy drain. In this case, you may not necessarily feel the classic signs of exhaustion – like achy muscles or that all-over tired feeling. What you do experience is an increasing lack of get-up-and-go for many of the activities you used to love. Studies show that folks who eat breakfast report being in a better mood, and have more energy throughout the day. Breaking the fast soon after rising supplies your body with a jolt of fuel that sets the tone for the whole day. Most of us know that 8 hours of sleep per night is optimal. But what many people don’t know is that the actual time you fall asleep is important too. Sleeping from 1 am to 9 am is not thought to be as restorative as sleeping from 10 pm to 6 am. The reason why is because of hormone secretion, body temperature, digestion, and other important restorative processes follow a 24-hour cycle linked to natural light exposure. Growth hormone is one such restorative hormone. Eighty percent of growth hormone, which is needed for lean muscle, optimum immune function, and strong skin, is secreted during sleep between the hours of 11 pm and 1 am. Fast-releasing carbohydrates- Excess sugar create a state of stress in the body, stimulating the release of cortisol. It causes fluctuations in blood sugar, which can result in plummeting energy levels. In general, slow-releasing carbohydrates such as fruits, whole grains, beans, lentils, nuts, and seeds are the better options. 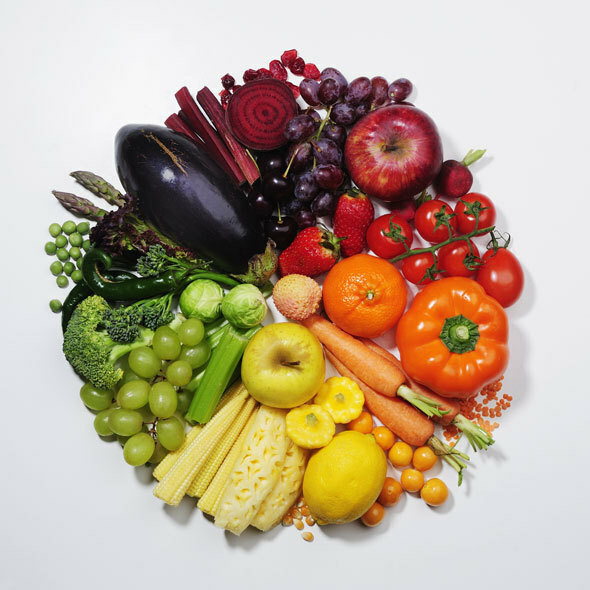 Not enough alkaline-forming foods in your diet – Foods that are alkaline-forming include figs, molasses, green leafy vegetables, almonds, beets, dates, celery, cantaloupe, and parsley. Insufficient protein – With high-protein, low-carb diets being so popular, it’s hard to believe it but insufficient protein is a common reason for fatigue. Pack some almonds and nuts for a quick and convenient protein snack. Too much coffee – Although coffee may give a boost in short-term, but high stimulant consumption can damage your body permanently in the long run. Not enough water – One of the most common reasons for low energy is not drinking enough water. In Traditional Chinese Medicine, cold drinks disrupt the proper flow of energy in the body and “shock” the body. Stick to warm or room temperature fluids. Remember three Ss-strength, suppleness, and stamina. If you could develop stamina, suppleness, strength and a beautiful body by spending twenty minutes a day on an exercise system that anyone can do anywhere, that leaves you feeling physically energized, emotionally balanced, and mentally clear. Energy nutrients include vitamin B6 and zinc, which help insulin work: vitamin B3 and chromium, which are part of the Glucose Tolerance Factor and now available as a complex called Chromium Polynicotinate; and a whole host of nutrients required to turn glucose within cells into energy. These include vitamins B1, B2, B3, and B5, and coenzyme Q10, vitamin C, iron, copper, and magnesium.